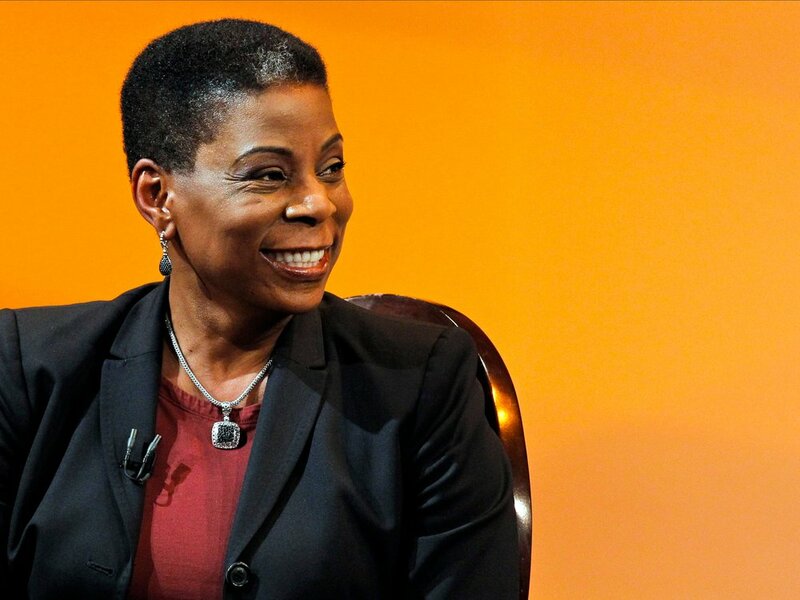 "Ursula M. Burns is an American business executive. She is currently chairwoman of VEON, a senior advisor to Teneo, and will join the board of the beverage company Diageo on April 2, 2018, among other directorships such as Uber. In 2009, Burns became CEO of Xerox, making her the first black woman CEO to head a Fortune 500 company, and the first woman to succeed another woman as head of a Fortune 500 company. Burns served as Xerox CEO from 2009 to 2016 and Xerox chairwoman from 2010 to 2017. In 2014, Forbes rated her the 22nd most powerful woman in the world. Among other civic positions, she was a leader of the STEM program of the White House from 2009 to 2016, and head of the President's Export Council from 2015 until 2016. Burns was raised by a single mother in the Baruch Houses, a New York city housing project. Both of her parents were Panamanian immigrants. She attended Cathedral High School, a Catholic all-girls school on East 56th Street in New York. She went on to obtain a bachelor of science degree in mechanical engineering from New York University Tandon School of Engineering (then Brooklyn Polytechnic) in 1980 and a master of science in mechanical engineering from Columbia University a year later. She has since received additional honorary degrees from New York University, Williams College, the University of Pennsylvania, Howard University, Rensselaer Polytechnic Institute, The City College of New York, Rochester Institute of Technology (RIT), the University of Rochester, and Xavier University. Burns first worked for Xerox as a summer intern in 1980, and permanently joined a year later after completing her master's degree. She worked in various roles in product development and planning at the company for the remainder of the 1980s. In January 1990, her career took an unexpected turn when Wayland Hicks, then a senior executive, offered Burns a job as his executive assistant. She accepted and worked for him for roughly nine months before returning home because she was about to be married. In June 1991, she then became executive assistant to then chairman and chief executive Paul Allaire. In 1999, she was named vice president for global manufacturing. In May 2000, Burns was named senior vice president of corporate strategic services and began working closely with soon-to-be CEO Anne Mulcahy, in what both women have described as a true partnership. Two years later, Burns became president of business group operations. In 2007, Burns assumed the role of president of Xerox. In July 2009 she was named CEO, succeeding Mulcahy, who remained as chairman until May 2010. The first black-American woman CEO to head a Fortune 500 company, Burns was also the first woman to succeed another woman as head of a Fortune 500 company. Shortly after being named CEO, Burns led the acquisition of Affiliated Computer Services. In 2016, she led Xerox in a split into two independent companies: Xerox Corporation and Conduent Incorporated. She remained chairwoman and CEO of Xerox through the process, and was then appointed chairwoman of the standalone Document Technology company. After stepping down from the position in December 2016, Burns was succeeded by Jeff Jacobson. She retained the title of chairwoman of the newly formed document technology company until May 2017, when she left the Xerox board and her role as chairperson. U.S. President Barack Obama appointed Burns to help lead the White House National STEM program in 2009, and she remained a leader of the STEM program until 2016. In March 2010 President Obama appointed Burns as vice chair of the President's Export Council, which she led from 2015 to 2016. Burns has served on numerous boards, including Boston Scientific, FIRST, National Association of Manufacturers, University of Rochester, the MIT Corporation, the Rochester Business Alliance, and the RUMP Group. She remains a board director of the American Express Corporation, Exxon Mobil Corporation, Datto Inc., and Nestlé. In July 2017, it was announced that she would join the board of the beverage company Diageo on April 2, 2018. Also in July 2017, she was elected chairwoman of VEON by the VEON board of directors. She joined Teneo as a senior advisor in June 2017. Burns joined the board of Uber in late September 2017. Burns made headlines in 2009 when she became the first black-American woman CEO of a Fortune 500 company. Burns has been exceptionally visible during her tenure, making frequent public appearances. Burns pushed for the $6.4 billion acquisition of Affiliated Computer Services that closed in 2010. Late in 2013, the company called the police prior to announcing 168 layoffs at its Cary, N.C., facility, noting they "were expecting trouble." It was the second round of a total of roughly 500 layoffs. Burns has been awarded an average of $13 million a year between 2010 and 2012. One former employee, commenting on Glassdoor, said, "Most upper management have received salary increase over the last 6 years, but staff has not."